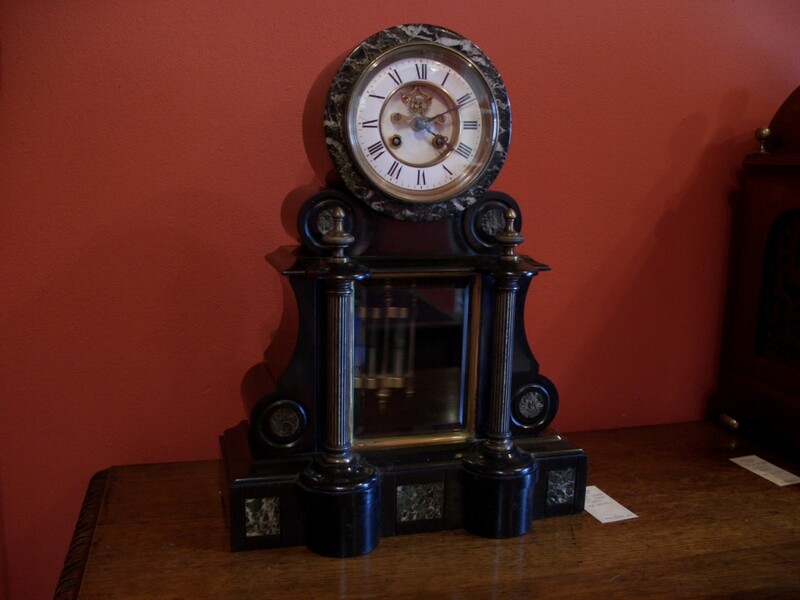 French black slate/marble mantel clock. Made by Marti of France in the late Victorian period with Brocot escapment. Two piece porcelain dial with Roman numerals. 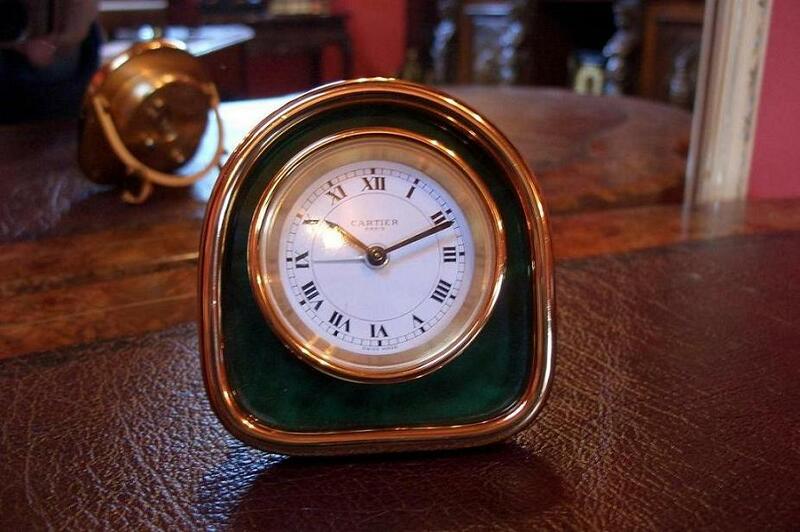 With mercury compensating pendulum and bevelled glass panel. Fully restored with one years guarantee.